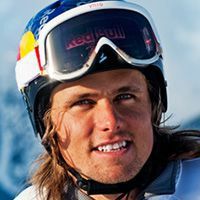 Jon Olsson hat einen vergangenes Wochenende einen großen Schritt richtung seinem hochgesteckten Ziel, der Teilnahme im Riesenslalom bei den Olympischen Spielen geschafft. Zum ersten mal qualifiziert er sich für einen Startplatz im starken, schwedischen Stangerlfahrerteam für das Weltcup Opening in Sölden vom 21. bis 23. Oktober auf dem Rettenbachferner. „World Cup here I come! EDIT: Just saw that the press release is out so I guess its ok to let you know how things went! 😉 I won all 4 qual runs today and secured a spot for the upcoming WC in Sölden, so super mega stoked for this! Andre Myhrer had already been given a spot as he has been killing it over the past few weeks, he skied up there today as well and did it in a great way so he will be one to watch! Mattias Hargin will also be joining me in Sölden as he qualed as nr 2, 1/100 ahead of Tim Lindgren. Such a killer day, been pretty nervous for this qual as anything can happen on this pretty flat hill, and I know that I like the hills a bit steeper, so super happy to pull! 😉 Now all have have to do is a miracle run in Sölden, qualifying from bib 60 is close to impossible, but I will give it my very best and go balls to the walls! Time for a run with Byggis, got to get my legs fresh for tomorrow! Exklusiv bei Skiing: Winter of Wells DOKU !WOW!